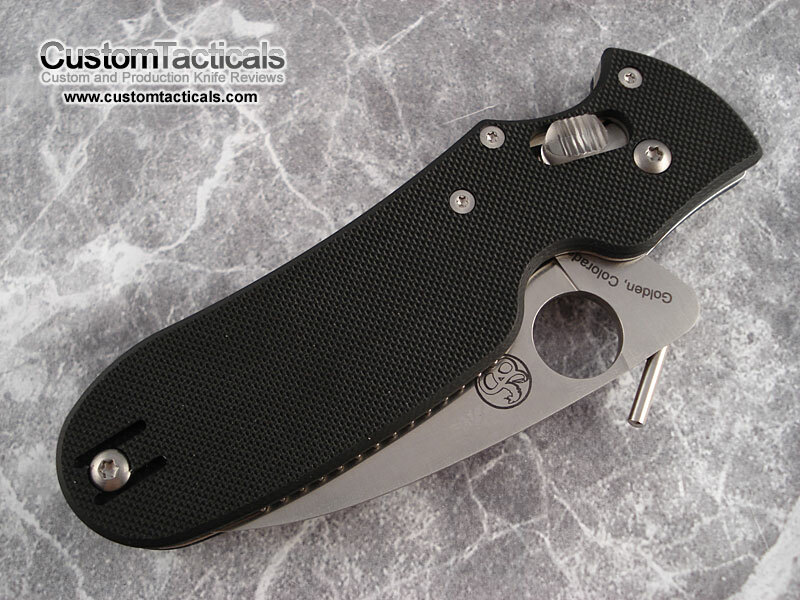 The Spyderco Pikal (or P’kal) C103GP is one of the newer MBC (Martial Blade Craft) knives from Spyderco, and is very unique in the way it looks. The knife is meant to be used in a icepick style grip with the edge in (towards yourself). The mechanics of why the knife is held that way make a lot of sense. This knife is pretty much good for self-defense and nothing else, however. There is a pdf on shivworks that explains how the pikal grip is used. See it here on Shivworks. Like the gunting there are specific techniques that it can be used for and is designed for the purpose of self-defense. 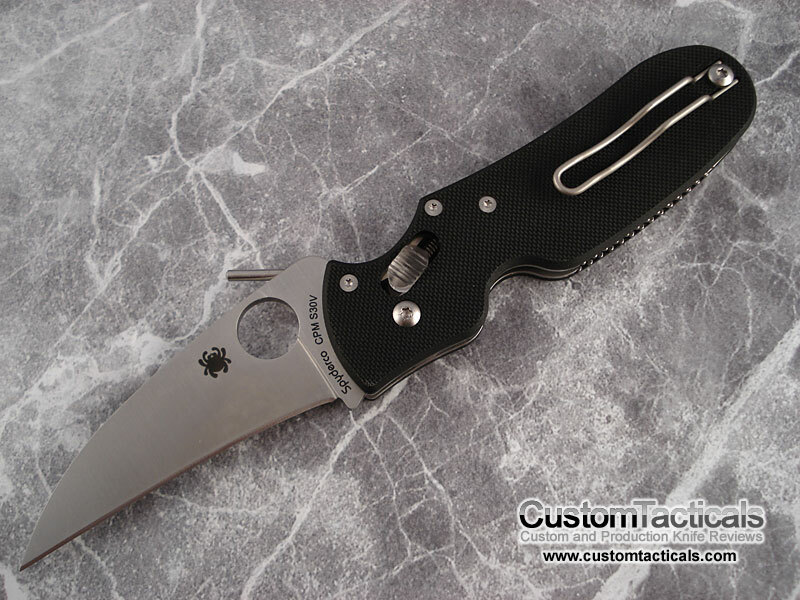 Blade is high quality CPM S30V steel made in the Golden, Colorado factory. Fully flat ground for a very thin blade capable of easily piercing an attackers clothing I would imagine. The Pikal has a protrusion on the spine of the blade that allows the user to “wave-open” the knife and also affords some ability to do a kinetic opening like the Gunting, though not quite as well. The knife is extremely solid with finely textured G-10 scales on both sides with a reversible wire clip tapped only for tip-up carry. The Ball-Bearing lock used in the Pikal has been patented by Spyderco and has been drastically improved as far as usability is concerned since the Dodo. 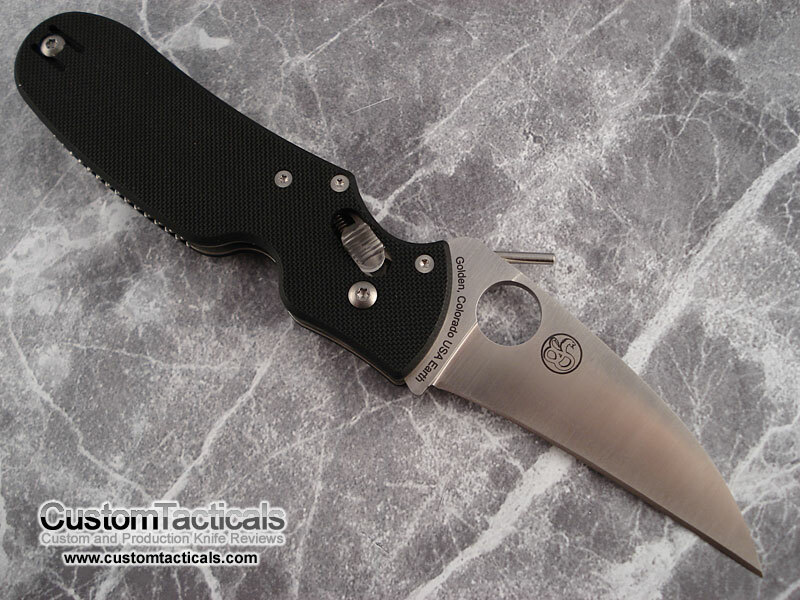 Spyderco claims the knife to double as an EDC knife as well as a pure self-defense tool, and I suppose that this is true to some degree in that it is a better EDC than say a Gunting. In fact, just for it’s cool factor it might be worth carrying one of these guys as an EDC. I really like the Pikal, so much that it is probably my favourite offering from Spyderco in the last 5 years!